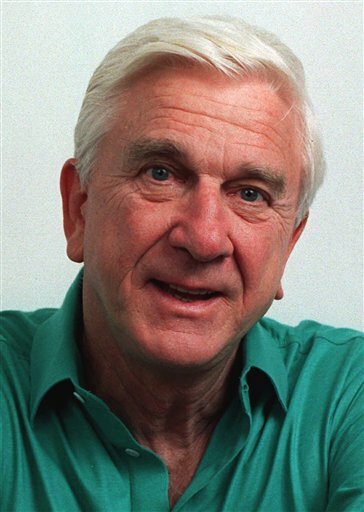 LOS ANGELES (AP) — Leslie Nielsen had the somber demeanor and stone–serious face that were just right for dramatic roles. They proved even better for comedy. Nielsen, the dramatic lead in "Forbidden Planet" and "The Poseidon Adventure" and the bumbling detective in "The Naked Gun" comedies, died on Sunday in Fort Lauderdale, Fla. He was 84. 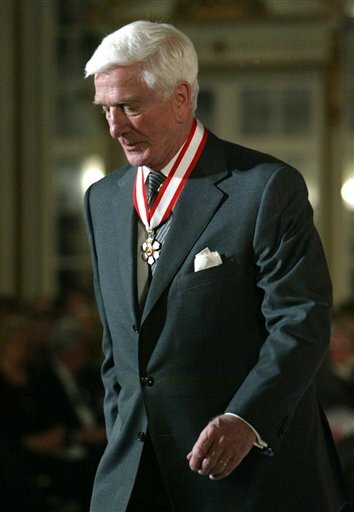 "We are saddened by the passing of beloved actor Leslie Nielsen, probably best remembered as Lt. Frank Drebin in 'The Naked Gun' series of pictures, but who enjoyed a more than 60–year career in motion pictures and television," said Kelly. Nielsen came to Hollywood in the mid–1950s after performing in 150 live television dramas in New York. With a craggily handsome face, blond hair and 6–foot–2 height, he seemed ideal for a movie leading man. The film — he called it "The Vagabond Turkey" — flopped, but MGM signed him to a seven–year contract. Behind the camera, the serious actor was a well–known prankster. That was an aspect of his personality never exploited, however, until "Airplane!" was released in 1980 and became a huge hit. Critics argued he was being cast against type, but Nielsen disagreed, saying comedy was what he intended to do all along. "I've always been cast against type before," he said of his early years in Hollywood. It was what he would do for most of the rest of his career, appearing in such comedies as "Repossessed" — a takeoff on "The Exorcist" — and "Mr. Magoo," in which he played the title role of the good–natured bumbler. But it took years before he got to do the comedy he wanted. He played Debbie Reynolds' sweetheart in 1957's popular "Tammy and the Bachelor," and he became well known to baby boomers for his role as the Revolutionary War fighter Francis Marion in the Disney (News - Alert) TV adventure series "The Swamp Fox." Meanwhile, he remained active in television in guest roles. He also starred in his own series, "The New Breed," ''The Protectors" and "Bracken's World," but all were short–lived. Producers–directors–writers Jim Abrahams, David and Jerry Zucker had hired Robert Stack, Peter Graves, Lloyd Bridges and Nielsen to spoof their heroic TV images in a satire of flight–in–jeopardy movies. The Zuckers and Abraham converted the series into a feature film, "The Naked Gun," with George Kennedy, O.J. Simpson and Priscilla Presley as Nielsen's co–stars. 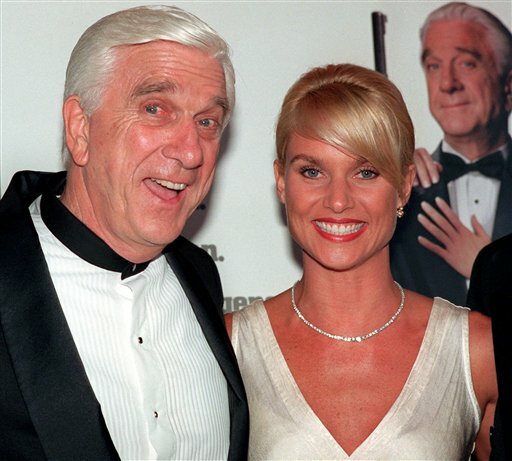 Its huge success led to sequels "The Naked Gun 2 1/2" and "The Naked Gun 33 1/3." Between films he often turned serious, touring with his one–man show on the life of the great defense lawyer, Clarence Darrow. Nielsen also was married to: Monica Boyer, 1950–1955; Sandy Ullman, 1958–74; and Brooks Oliver, 1981–85.